Welcome to the Camp Verde Agriscience, FFA and PALS portal! PALS is Partners in Active Learning Support (PALS) which is a mentoring program that matches FFA members with elementary and middle school students. PALS mentors teach young students about the science and business of agriculture. Are you interested in learning more about agriculture? We have the after school program for you! Once a month Camp Verde FFA hosts students grades K-8 to learn more about agriculture! It is $5 to attend! Click below for a letter with more information and a permission slip to get started today! PALS is a mentoring program that matches high school agriculture students with elementary and middle school students. The program helps students to build trust in others and develop positive self-esteem, and engage in ag literacy activities. Through the PALS program, high school, middle school and elementary students develop special, one-to-one relationships, while exploring their interests in plants, animals and the world around them. As a result, the younger students become more interested in engaged in school and develop stronger social skills. Provide leadership and cultivate strong partnerships in schools across all programs and subject areas. In today’s world, people rely on great leaders to forge new paths. Whether it’s as a public servant or as the head of a family, our world relies on people with the knowledge and skill to lead. For more than 75 years, FFA has provided solid leadership initiatives that prepare its members for the challenges presented by an ever-changing world. As we look back on our history of success, we also look to the future and our constant commitment to do more. Your contribution will make a positive difference not only to our members, but to all those in our community who care about the development of young people and to the future of agriculture and agricultural education. If you would like to visit with our chapter advisors or chapter officers feel free to call or email us to arrange a visit so we can discuss in greater detail the FFA mission and the possibilities we can create for FFA and our local community. Through FFA, students never have to settle for an “average” life. With the support and commitment of organizations like yours, we can ensure our community will continue to hold true to American ideals and our future leaders will continue to strive for excellence. Are you interested in sponsoring the next generation?! Camp Verde FFA can be supported in many ways! 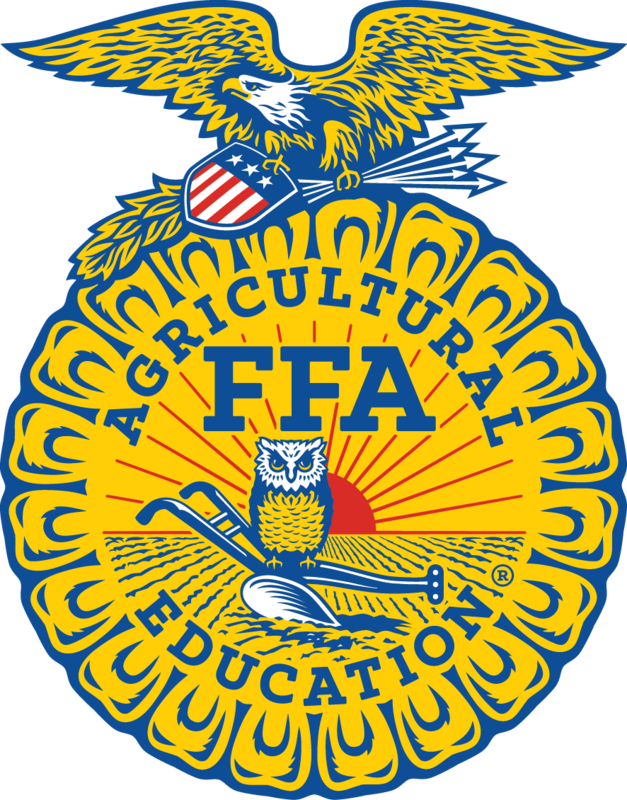 Bronze: $250 – Small logo on back of FFA shirt and recognition at all chapter events. Silver: $500 – Small logo on back of FFA shirt, recognition at all chapter events and 18×24 banner at the Agriculture Education Land Lab with your choice of information. Gold: $1000 – Small logo on back of FFA shirt, recognition at all chapter events, 18×24 banner at the Agriculture Education Land Lab with your choice of information and logo embroidered on chapter officer polo sleeves sponsoring the officers efforts! Request a chapter officer in Official Dress at an event! Presenting: We are ALWAYS in need of classroom presenters whether you work on a farm, factory or retail shop! Ice Cream Social and Pie Auction: Come bid on baked goods and other items grown by Camp Verde FFA! We could also use items for the auction! Simple Needs: Aluminum Cans, Metal Silverware, Horseshoes, Old Garden Tools, Plastic Silverware, Plastic Paper Products, classroom supplies. Click this to follow us on Facebook! If you can’t find what you need on this page feel free to contact us!